doverpictura blog: Newest Collection: It's a Prince! Great Portraits of Kings, Queens and Courtiers just as the brand-new royal prince is debuted in public? On the cover we've even got a picture of Henry VIII, who was something like his first cousin, sixteen times removed! Why, we must be psychic–or lucky–or both. Anyway, to celebrate we're offering this superb collection at a fantastic sale price of $12.99 (regular price $15.99), but just until they announce the new prince's name. 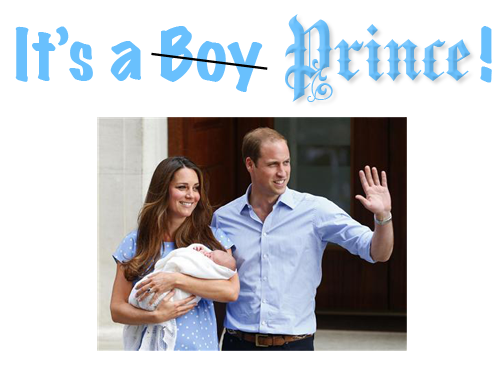 Best bet is that you probably have a week—it took Princess Di and Prince Charles that long to announce Prince William's name. (update at 1:40 EST) Ok, this collection will be on sale for a week anyway, through July 31! 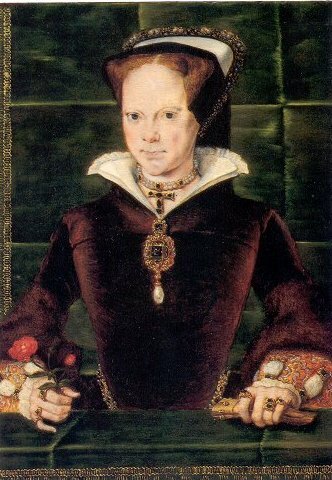 Around 1553, in an effort to secure a marriage between Queen Mary of England and Prince Phillip of Spain, it was decided that a portrait should be made of Mary, to be sent to Phillip, so that he could see who he'd be marrying. 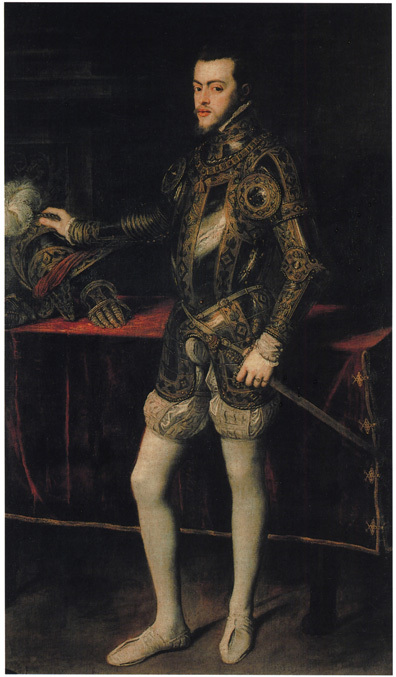 The English commissioned one of the great painters of the day, Antonis Mor, to make the portrait. Upon completion, and after great debate, it was decided that Mor's painting might not be presenting the Queen in the best light. In the painting (from our collection) her visage is stern—she appears a middle-aged woman of 37 years. This wouldn't do. 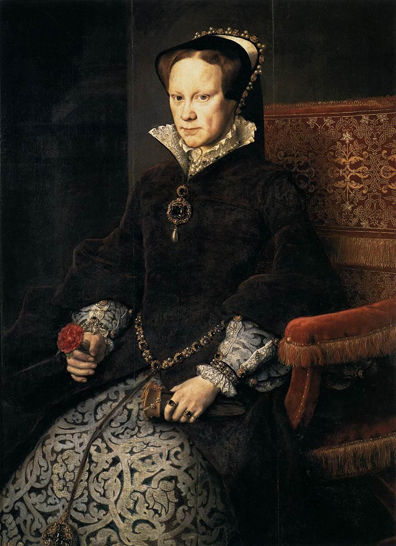 Quickly, it was arranged to have another, perhaps more pliant painter, execute a more flattering portrait of the Queen; Hans Eworth was chosen. In the resulting painting the Queen seems to have shed 15 years, and presents a more buoyant, almost cheerful demeanor. They were wed in 1554. Great Portraits of Kings, Queens and Courtiers is comprised 120 of the best portraits of European royalty and their attendant courts, painted by some of the greatest painters of the western tradition. The collection kicks off with a beautiful portrait of Mad King George III of England, painted by William Beechey; in it you will also find fine portraits by Raphael, Titian, Holbein, Goya, Cranach, and Gainsborough, to name just a few.